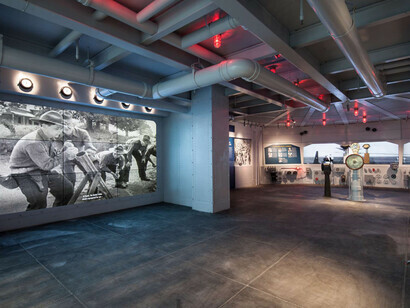 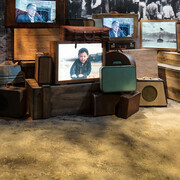 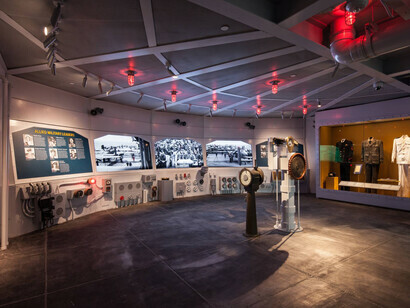 Richard C. Adkerson & Freeport-McMoRan Foundation Road to Tokyo: Pacific Theater Galleries retraces the grueling trail that led from Pearl Harbor to Tokyo Bay by way of New Guinea and Southeast Asia, the Himalayas, Burma, the islands of the Pacific, China, India, and Alaska. 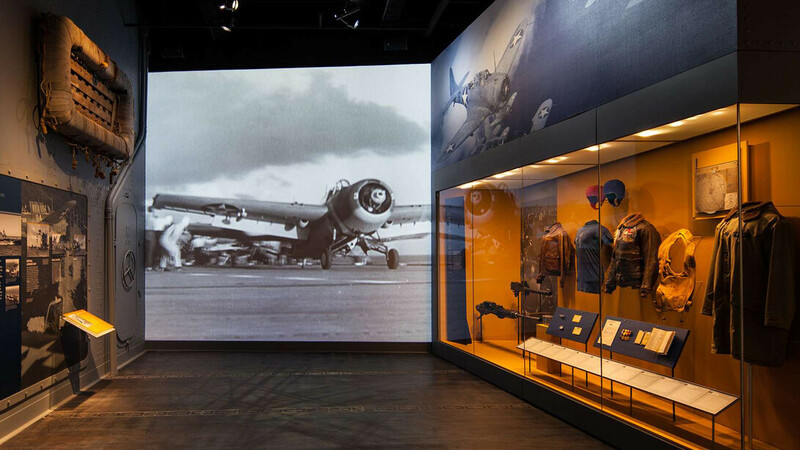 Exhibits explore the evolving strategy for fighting relentless Japanese forces in Asia and the Pacific, examining cultural differences, logistical challenges, and the staggering range of extreme conditions that confronted American military forces. 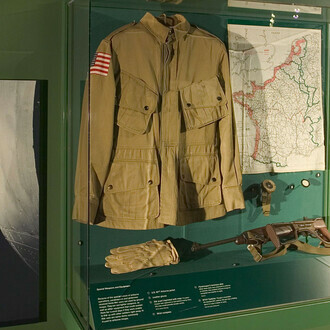 Conveyed through artifacts (including a shark-faced P-40 Warhawk), oral histories, serialized “Dog Tag” profiles, short films, and recreated environments, this is the story of a world that was unimaginably alien to American GIs, a conflict of searing brutality, and a victory so devastating it is hotly debated even today. 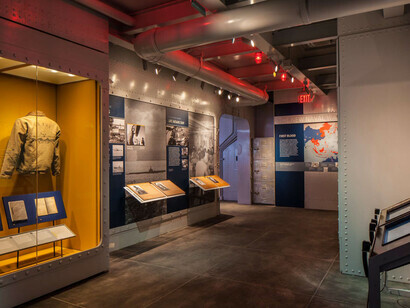 But this is also the story of the American spirit that carried the day: the dogged hard work of Seabees literally paving the way for island-hopping aircraft, scientists in a race to create vaccines against devastating new diseases, and daring commanders facing ever-changing obstacles with equal parts innovation and courage. 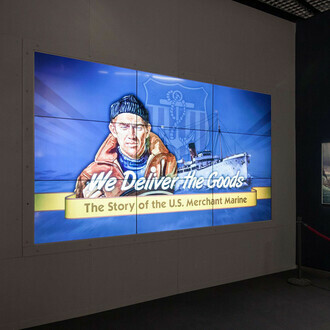 Exhibit treatments bring to life the naval and air forces, the soldiers and marines, as well as engineers creating the machinery to cross vast distances, carry massive cargo, and build cities at sea. 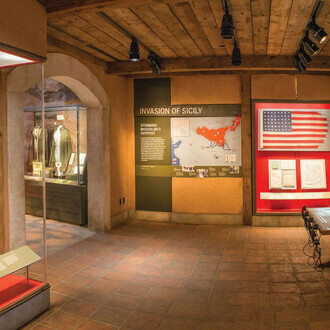 This is the story of the Americans who forged a road to Tokyo through courage, ingenuity, and great sacrifice that ended the war at last.